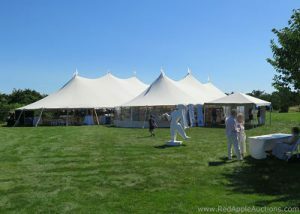 You are here: Home / Procurement / Breaking the rules: This Martha’s Vineyard auction succeeds by doing things differently. 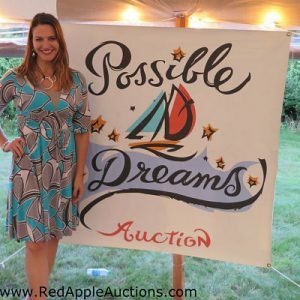 Two weeks ago I worked with a nonprofit in Massachusetts which has a fairly unique benefit auction model. Though they share some of the same overarching goals as many of my clients (e.g. fundraising, donor stewardship, community awareness, etc. 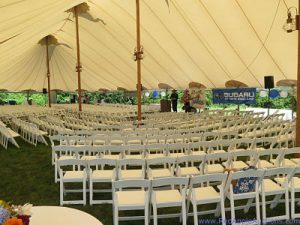 ), the event has a long history of doing some things differently. 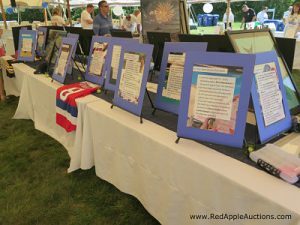 Here are a few elements that make this charity auction unusual. Guests dress casually; some wore shorts. It’s an afternoon affair. Guests arrive at 3:30 PM and the program (the auction) ends ~7:30 PM. There is no sit-down dinner, passed heavy hors d’oeuvres, or rich food stations. For all intents and purposes, the $25 ticket price covers a silent auction, live auction, and listening to some music from The PickPocket Bluegrass Band. A good number of the guests (I’d guess the majority) are not full-time residents of the community. It’s a fairly large live auction with 26 items. Each item is unique to the community. Isn’t it interesting that the traditional thinking for planning successful auctions is oftentimes to do the opposite of what this group plans? A higher ticket price attracts guests with deeper pockets. Guests spend more when they dress more formally. Keep the live auction short to maintain interest. There is good reason as to why those best practices have evolved. Yet despite “being different,” this event has generated millions of dollars over the years, because this team has figured out a formula that works for them. This benefit auction has generated quite a bit of publicity as well. The lesson learned? No two auctions are alike. Below is a video giving you a tour of the layout. You might pick up a few ideas for your own fundraising auction, too. Are you going against the grain and having success in YOUR benefit auction? If so, what are you doing that is non-traditional or unusual for your area? I’d love to hear what you’re doing that is “different.” Post it below. As always, this is great information from Sherry. Great to hear some new ideas. We learned a great deal from participating in the Consignment Item webinar and have made contact with a couple of the consignment companies recommended during the webinar. We’re looking forward to seeing how offering some consignment packages in our live auction works out for us! That’s great to hear, Theresa! P.S. I’ll be cruising past you on Thursday enroute to the airport.